Hamilton Beach Breakfast Burrito Maker Just $13.49! Down From $50! You are here: Home / Great Deals / Amazon Deals / Hamilton Beach Breakfast Burrito Maker Just $13.49! Down From $50! I love this! Hop over to Amazon and score this Hamilton Beach Breakfast Burrito Maker for just $13.99 PLUS FREE shipping with Amazon Prime or for orders over $25! Have a piping hot breakfast burrito ready in five minutes with the Hamilton Beach Breakfast Burrito Maker. This convenient appliance is easy to use and it does all the cooking for you. So why skip breakfast or run to the drive-thru? 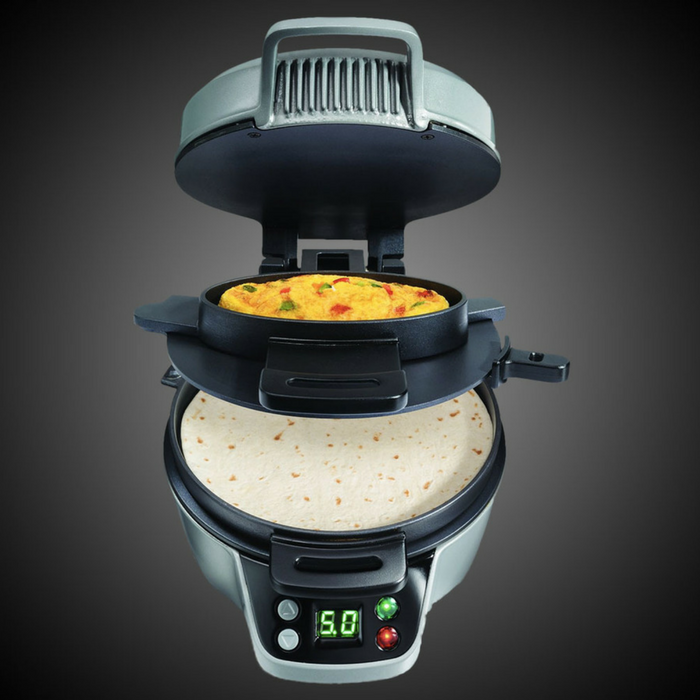 This was designed to cook burritos, but it can do so much more. Stuffed pancakes, omelettes, crepes, even personal pizzas are possible. To make cleanup easy, the cooking surfaces are nonstick and all removable parts are top rack dishwasher safe.